Fall in love with Puglia: Food, Wine, Events, Culture, Traditions, Tours, Holidays! Fave served with a side of mixed peppers. To get the full effect of my crazy thought process whilst writing this week’s cookery blog, the next line needs to be sung in the style of a very famous Christmas carol ‘Tis the season ‘fare fave’, tra la, la la, la, la, la, la, la!’ OK, enough messing around! 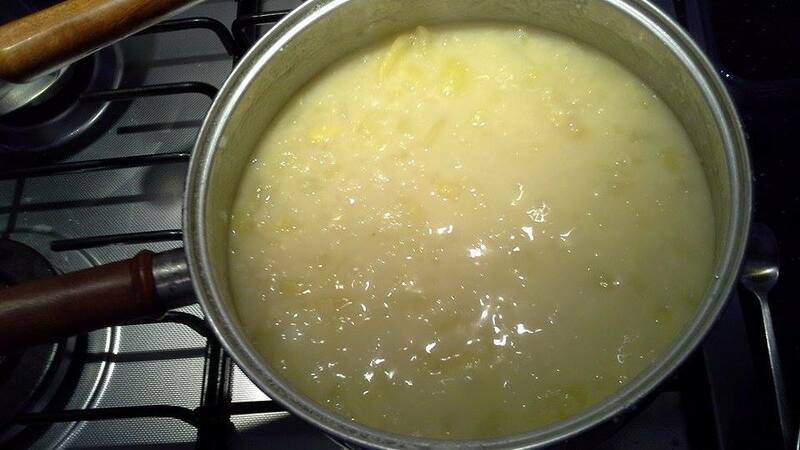 This week we’re cooking ‘Fave’ which is made with dried broad beans. Broad beans are just beginning to come into season at the moment, and as the Italians love to use fresh seasonal vegetables, that’s what’s on the menu this week! Although I’m not sure where Angela (AKA ‘Lo Chef’) sourced her dried beans, perhaps she stockpiled them from last season, as she couldn’t possibly have dried them out already! If you’ve never had fave before, at first glance it could be mistaken for mashed potatoes. It has the same look and texture. 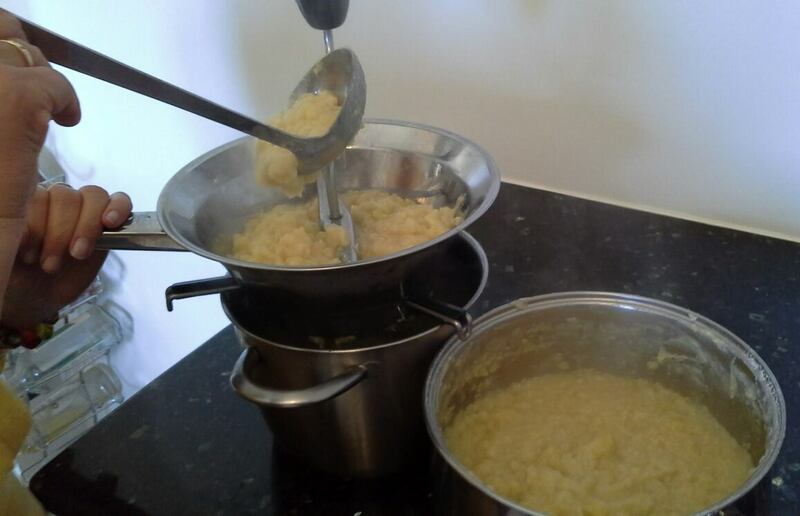 And in fact the recipe calls for roughly the same amount of potatoes to beans (in weight of course!). 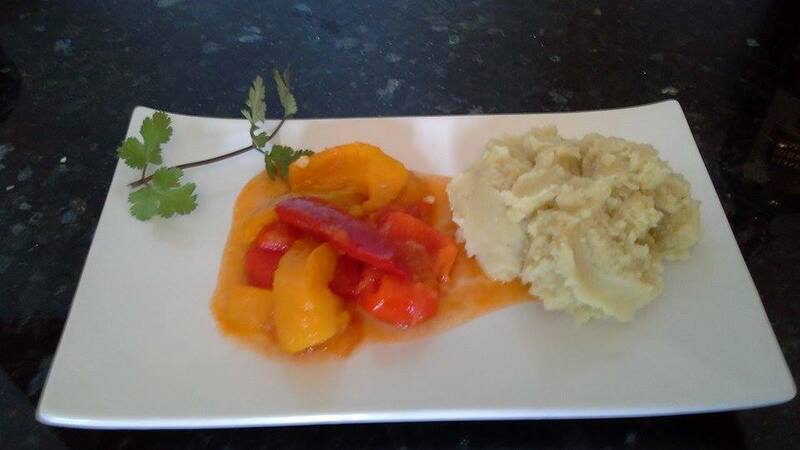 Dried broad beans with potatoes. 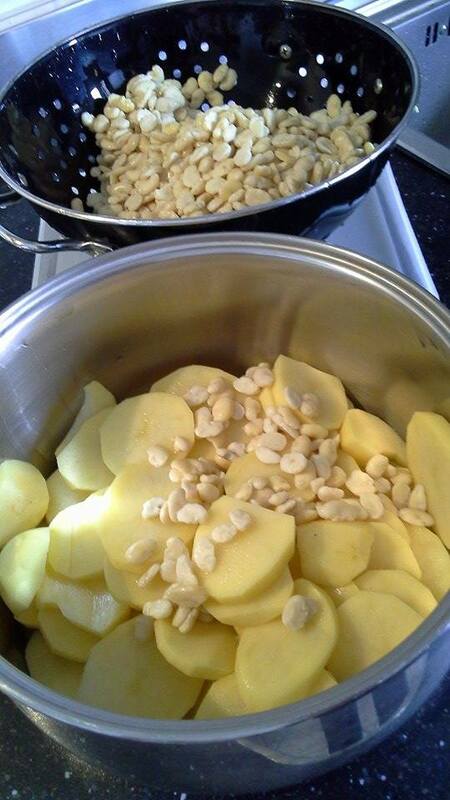 After hydrating the dried beans overnight, wash, peel and slice the potatoes, and add to a large pan (Angela seems to be displeased with my pans, apparently they’re too small for Italian cooking! But it’s all I have, so we’ll just have to ‘make do!’). Add the beans and just enough water to cover the vegetables. Put it on the hob, on the lowest possible setting. Then, do nothing for what seems like an eternity! Top tip of the day… ‘Do not stir or add any salt!’ This is very important. After a while, a long while, the water will start to form a scum on the top, this is the starch leaching out. Periodically remove this. I repeat again, do not stir!!! After a couple of hours, gently lift the vegetables from the base to prevent them from sticking with a ‘cucchiaio di fave’, AKA a wooden spoon! I found it quite quaint that the Italians have a specific use for this type spoon; making fave, and therefore the name of the spoon represents it use! Literally translated is means ‘fave spoon’ it’s the angled edge type.This is when you add the salt. Lots of it! In fact, I’ve never seen so much salt added to a single dish! OK, it’s almost ready; test the potatoes with a knife just to make sure (but after a couple of hours on the hob, surely it has to be cooked!). 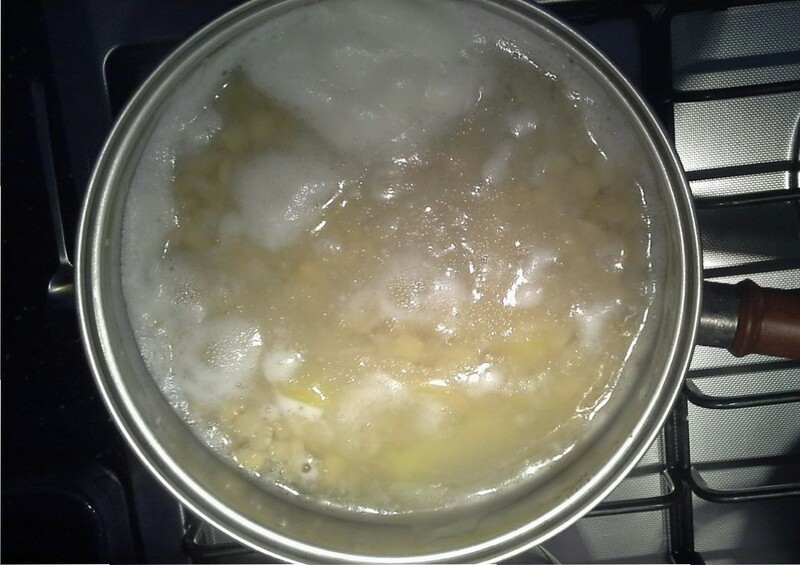 By now, most of the water should have been absorbed by the potatoes and beans. This is when you start to stir things up, keep stirring, and stirring, for about 10 minutes or so. It should be quite mushy now. One more quick taste test, check the seasoning, and adjust accordingly. Now, let the fun begin! 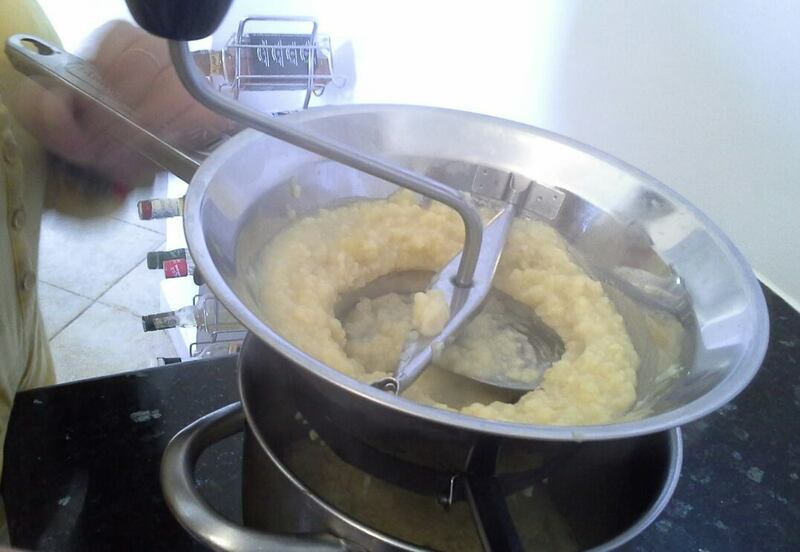 Get yourself a ‘Passatutto’ which is a gadget that the Italian’s use to puree fruit and vegetables. This is another one of those words which has a literal translation of its use, ‘everything passes’. Put this over a pan, then fill it with the fave/potato mixture. Slowly turn the crank! Hey presto! Below you have super smooth and delicious fave! The Bearded Brides of Grottaglie!